CEOs and managers are very concerned about a waste of time, effort and resources in their organizations. Reason is simple: If people are not engaged, how can these leaders attain business objectives critical to improving organizational performance? Organizations realize that a ‘satisfied’ employee may not necessarily be the ‘best’ employee in terms of loyalty and productivity. Only an ‘engaged employee’ who is intellectually and emotionally bound with the organization and feels passionately about its goals. He goes the extra mile to drive the business. Moreover, in times when loyalty is losing ground, employee engagement is a powerful retention strategy. - Interaction between employees at all ranks. 1. Successful execution of any business strategy - Engaged workforce is your only true competitive advantage. It is impossible to copy and without it, execution of most initiatives becomes difficult. 2. Engagement is not a short-term initiative. Takes years of steady progress to build high levels of engagement, and without the proper care and feeding, these gains can wither and fall away. 3. Engagement must be driven from the top - Engagement is a business imperative, NOT HR initiative, though HR should be a key player in driving it. Support from the top means senior leaders must be highly engaged themselves. It’s hard to imagine highly engaged employees without highly engaged leaders. 4. No one impacts the state of engagement more than an employee’s immediate leader. Show us a highly engaged team, and there’s a strong likelihood of a leader who is coaching for success, setting clear goals, empowering others, providing open and honest feedback, and making the winners feel valued. 5. Measuring engagement and demonstrating its business impact is crucial, but it’s only a small part of winning the battle. Far too many organizations pour hundreds of thousands of dollars measuring and re-measuring engagement, leaving little energy or budget for actually improving engagement levels. Keep engagement measures simple and cost effective. 6. Engagement means reaching the heart. Highly engaged employees give that extra effort because they care. And, they care because they feel someone is caring for them. A vice president for customer service insists that his managers really get to know the individuals on their teams as people, not just employees. This sends a powerful message to employees that the organization understands and appreciates that they have a life outside work. Though HR is believed to be the custodian of employee engagement and it takes initiative and drives constant employee engagement programs, in the ever-evolving industry, employee engagement is NO longer a prerogative of HR but also of organizational leadership. Every leader has own style of engaging with employees to achieve the best results. EmployWise hire-to-retire HR software solution that takes care of the entire employee life-cycle and has built-in features to drive constant employee engagement. Its Performance Management and Learning & Development modules focuses on building a more engaged workforce by means of continuous trainings, job rotations, skill upgradation, flexibility in working hours, competency mapping, rewards and recognition for effective work. 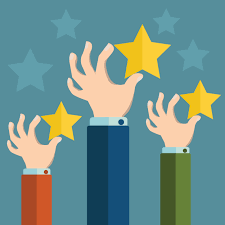 In order to motivate employees to give their best, their efforts need to be constantly recognized and rewarded. Thus, EmployWise rewards and recognition provides for creative communications, peer-to-peer nomination, milestone awards, on-the-spot recognition, certificates and awards, budgeting and performance reporting. EmployWise believes engaged employees not only lead to higher productivity and revenue but also lead to greater customer satisfaction and enhanced brand image. Engaged workforce is at the core of our software solution.